Who: Middletown, Conn.-based Liberty Bank, a $3.6 billion dollar-asset mutual bank serving more than 195,000 customers throughout the central, eastern and shoreline areas of Connecticut. Cindy Muzyk, Budget Manager for Liberty Bank. When: Liberty Bank utilized logicpath's Deposit Reclassification solution for 13 years prior to implementing its C3 Financial software to address branch cash management challenges at its 44 branches and 30 branch-serviced ATMs. Since implementation, Liberty Bank has added five branches and four ATMs; a cash footprint of 49 branches and 34 branch-serviced ATMs that C3 Financial completely manages. What: branch cash management challenges at Liberty Bank’s branches led the team to pursue a solution that would provide the cash reporting capabilities branch managers needed to analyze average cash balances and compare them to cash limits. The more than a decade-long successful relationship Liberty Bank had with logicpath led the staff to implement the company’s industry-leading C3 Financial solution to reduce the amount of cash on-hand at its branches and better identify cash positions. 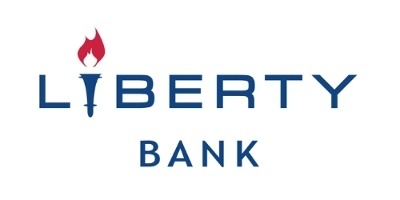 Liberty Bank required an institution-wide and standardized branch cash management solution that eliminated branch managers’ disparate and time-consuming processes for tracking and reporting the bank’s cash, which also included manual production of monthly branch cash limit reports from the Finance area. While Liberty Bank’s previous branch cash management reporting capabilities enabled branch personnel to view cash averages, insufficient information was available on the reports that enabled management to identify and set specific cash limits. Already a longtime logicpath Deposit Reclassification client, Liberty Bank was aware of logicpath's C3 Financial solution, a web-based branch, ATM and vault branch cash management software. According to Doucette, the bank knew the solution would enable its branches to overcome cash limit and reporting challenges. The implementation of C3 Financial was a team effort, and according to Doucette and Byers-Britney, the finance and retail banking operations groups of Liberty Bank were heavily involved. According to Doucette, C3 Financial has enabled Liberty Bank personnel to reduce the amount of cash on-hand at branches and also trained branch staff to be more comfortable with less cash. The bank is now able to deploy the recovered funds into additional investment and community revenue-generating opportunities. From implementation, 48 branches utilizing C3 Financial experienced a 42 percent reduction in cash inventory, equating to the transformation of $2.0 million in liquid assets for the bank. Another C3 Financial feature Liberty Bank utilizes is Target recommendations; a monthly average cash ending for cash limits. Liberty Bank’s retail group successfully manages branch cash within one percent of C3 Financial’s Target recommendations; maintaining and aligning cash inventory levels with customer usage and creating permanent liquid assets for the bank. C3 Financial’s reporting capabilities have also enabled Liberty Bank branches to streamline the tedious, manual processes that were in place and better meet their specific branch needs. The integration between C3 Financial and Liberty Bank’s core provider, COCC, complemented by responsive and accessible support from the logicpath team, have made once laborious branch cash management tasks extremely efficient. Established in 1825, Liberty Bank is Connecticut’s oldest mutual bank, with more than $3.6 billion in assets and 49 banking offices throughout the central, eastern and shoreline areas of the state. As a full-service financial institution, Liberty offers consumer and commercial banking, home mortgages, insurance, and investment services. Liberty maintains a longstanding commitment to superior personal service and unparalleled community involvement.